We are absolutely thrilled to have won another award! 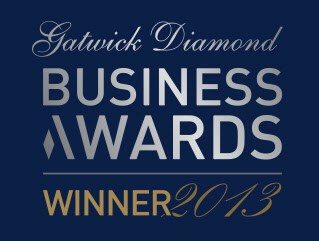 Green Mop have been awarded the Green Business of the Year at the prestigious Gatwick Diamond Business Awards 2013. The event is one of the biggest in the region, with winners announced by TV’s Alexander Armstrong in front of a crowd of 500 business people from the Gatwick Diamond area. The Green Business of the Year Award was sponsored by Crawley Borough Council. Brett Hagen and Kay Wagland from The Council’s Green Business Programme came the Green Mop’s Hove office to interview Racheal as part of the judging process.